Home / Downers Grove / Can your phone decrease your obesity risk? Can your phone decrease your obesity risk? Approximately 5.3 million people die from causes associated with physical inactivity every year. Would you believe a potential solution might be a smartphone? A study done by Stanford University researchers found that step counters on smartphones are effective in helping people stay active and healthy while reducing the risk of obesity. Dr. Allen Mikhail, advanced laparoscopic and bariatric surgeon at Advocate Good Samaritan Hospital in Downers Grove, Ill., says that when used properly, smartphones are beneficial in keeping track of your exercise and increasing your fitness goals. And Pew Research states that approximately 77 percent of Americans now own a smartphone. 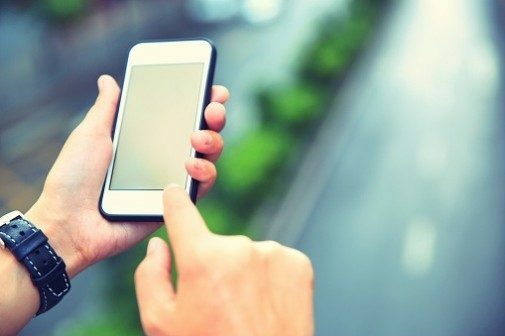 Stanford researchers tracked the smartphone habits of 717,000 people from 111 countries and studied their steps for part of the year. After analysis, researchers found that the number of daily steps counted by smartphones can be an indication of obesity. Specifically, researchers discovered “activity inequality,” in which those who step the least are prone to obesity while those who walk more gravitate toward fitness and health. This concept is especially prevalent when comparing country-to-country differences in regards to activity gaps within a society and how it relates to obesity. Dr. Mikhail says that a large gap in activity within a society can be a sign that people in that area have more choices in transportation. And the activity gap widens when it comes to gender. The study shows that when the gap is larger, women’s activity is reduced more than men’s, meaning obesity can have a greater effect on women. Specifically, The National Institute for Diabetes and Digestive and Kidney Diseases says that 38 percent of adult women are obese, while 34 percent of adult men are obese. To reduce the likelihood of obesity, Dr. Mikhail stresses the importance of walking more using a smartphone’s step counter and making it a continuous goal.